School of Computing professor Feifei Li has been named an ACM Distinguished Member for 2018. The Association for Computing Machinery, named 49 Distinguished Members for outstanding contributions to the field. 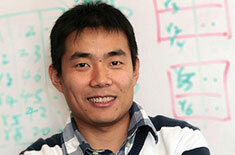 Feifei Li was recognized for his outstanding scientific contributions to computing.